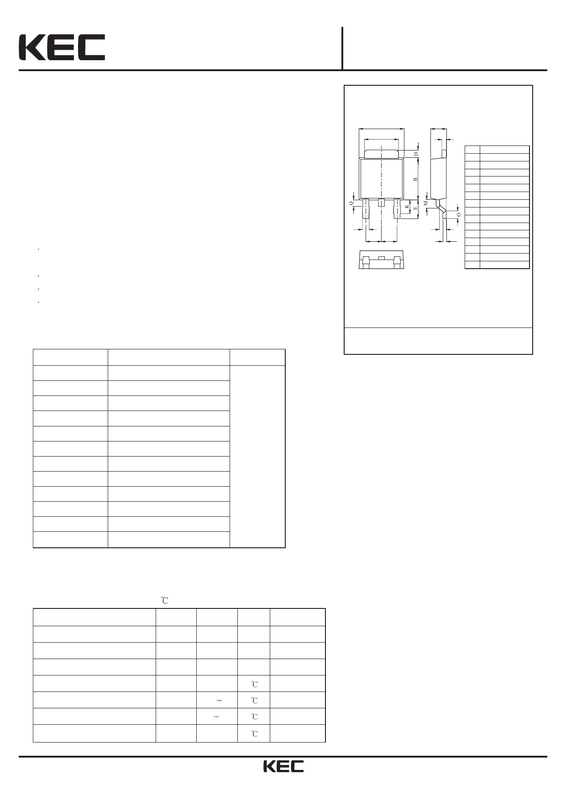 type, 3-pin voltage regulators with positive outout. a fluctuating DC input voltage. 3.7V, 5V, 6V, 8V, 9V, 10V, 12V, and 15V. The maximum current capacity is 1A for each of the above voltage. circuit and thermal shut down circuit. Compatible with the KIA78DXXF Series. Low minimum I/O voltage differential. Note) * : Under development.